Home » Alternative Paths » Rainbow Mountain or 7 Colors Mountain – Cusco 1-Day. Rainbow Mountain – Cusco, also denominated like 7 Colors Mountain or colorful mountain. It is an impressive geological formation in millions of years, thanks to its mineral richness presents different colors that resemble the rainbow. 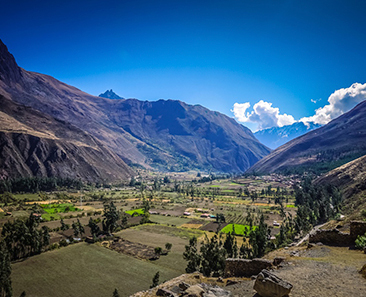 This natural wonder is at 5,200 m.a.s.l., in the Andes mountain range; located south of Cusco, Cusipata district, Quispicanchis province, Cusco department, and next to the highest mountain in the region (Ausangate 6,384 meters / 20,944 feet). Nowadays, the mountain of colors Cusco is one of the famous hiking alternatives. It is recommended for nature lovers and those who wish to explore part of the Andes of Cusco. The tour begins and ends in the city of Cusco, from 4:30 a.m. at 6:00 p.m. If you are thinking of exploring the mountain of 7 colors, join the expert team of Machupicchu Andes Tours – Matours. You will not regret it, you will have a pleasant, guaranteed and personalized trip. Rainbow Mountain – 7 Colors Mountain – Colorful Mountain. 1-Day tour. Cusco – Cusipata – 7 color mountain – Cusco. To start the Rainbow mountain 1-day tour. Our tour guide and mobility will pass through your hotel in Cusco. Then, make a trip of 1.5 hours to the town of Cusipata where you will enjoy an energetic breakfast; continue your journey for 1 hour to Phullawasi – Chillwani community and start uphill hike until you reach the colorful mountain. While climb with your professional leader, enjoy the beautiful scenery and see also the South American Camelids and other high Andean animals in their natural habitat. From the 7 colors mountain viewpoint, enjoy a complete compendium of the scenic beauty. Also, appreciate the fifth highest mountain in Peru (Ausangate) and take excellent photos. After marveling, start to return through the red valley to the bus station. Then, enjoy a pleasant lunch and later return to Cusco. Arrival in Cusco around 6:00 p.m.
What do we include in the Rainbow Mountain package? What do we not include in the tour? 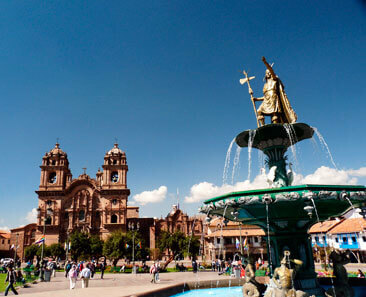 To do this tour, you must be in Cusco at least 2 days before to acclimatize. Before going to the 7 colors mountain, take short walks around Cusco to better adapt to the weather or you can hire short tours. 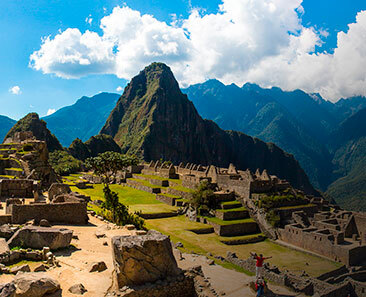 City tour, Sacred Valley, Maras Salt mines – Moray – Chinchero, south valley or you can also visit Machu Picchu first. 1 Group Service. The entire tour will be shared between 20 and more people. The members of the group will be from different nationalities, languages, beliefs, ages, etc. Breakfast and lunch will be in a restaurant of a local family. 2 Private Service. The entire tour will be in a totally personalized service, exclusive for your group so you can fully enjoy your trip. The group can be integrated by your family, friends, co-workers or special trips such as weddings, anniversaries, etc. Breakfast and lunch will be prepared by our professional and adventure specialist chef. Rainbow Mountain – Cusco 1-Day.